I recently came to a conclusion that I've been repeating a lot lately. I believe we overestimate the end goal: success, the carrot on the end of the stick, and underestimate the value of the journey. My debut book released in 2013 and I had a goal to hit bestseller lists right out of the gate. Don't we all? I want kudos and I chased the carrot at the end of the stick, my sole focus to GET IT. I wanted the RITA (like an Oscar award for authors), and I wanted audiobooks. I wanted the book that's turned into the movie. I achieved the audiobooks and have definitely hit a bunch of milestones in between (two books on the shelves of Target, a massive print run, making Kroger and Publix, landing on the BookScan Top 100 several times), but there are "carrots" I still want. There always should be a bigger, more awesome goal to strive for to keep your beloved work from becoming drudgery. From the beginning, I was wise enough to recognize that I needed smaller goals to achieve as well as the biggies. I didn't start writing romance to "try it out." I knew this was a career. Careers, as I learned from several attempts in several different fields, ebb and flow, climb and fall. None climb to the top and keep climbing. None climb to the top and stay there, either. To prepare for that inevitability, if I was shooting for the stars, I knew I needed a damn good foundation here on the ground as well. So I made my first goal--one I believed I could achieve because I was in 100% control of it. Every decision I made in the beginning revolved around building a solid backlist of ten books as quickly as possible. One, so that I could stop being a noob (I hate being the new girl!) and two, so I could learn this business fast and furious. The proverbial ripping off of the Band-Aid. During the process of writing those ten books, I learned a ton. About writing, about how to handle edits, rewrites, copyedits... but I also learned a lot about the journey. After I wrote ten books, I wrote ten more. During the course of writing what is now 21 books (not all of them have released yet, but they're written), I began to notice a pattern. As I suspected, this business, like every other business on the planet, ebbs and flows. There are ups and there are downs. One week you're hitting Top 10 lists and basking in the glow of amazing reviews and recognition, and a week later you're fighting with your next first draft and trying to make the characters shine while puttying in the plot holes. Guess what you do next if you hit the New York Times bestseller list? Guess what you do next if you win a RITA? So if you'll always be pitching/selling/writing/releasing, then it would make sense to focus less on the outcome (NYT/the RITA) and more the journey, right? 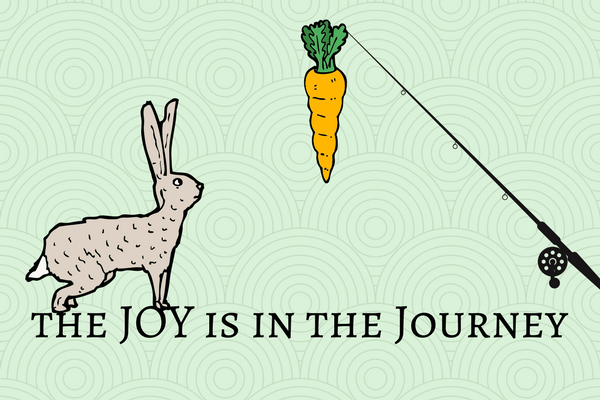 Within the journey is where the joy lurks. Yes, I said lurks. You have to search for it, or else it'll stay in the shadows forever. You can absolutely rob yourself of joy in this business if you're constantly comparing your work to others, asking why you don't have X or Y or Z, or bemoaning your daily trudge through yet another book. Newsflash: Editing weeks aren't as fun as release day. And let me assure you, you will spend MUCH MORE time writing (and rewriting) and editing than you will celebrating being #1 on Nook's bestseller list or having one of the Top 25 Books of July. Celebrate those moments. Roll around in them. Enjoy them! It's what you're working for, and it's all part of the journey. Every little step we take toward climbing Mount Everest should be celebrated because it's a hell of an achievement. It's easy to sit down and whine and complain. It's easy to watch TV instead of doing ten more pages of copyedits. It's easy to ignore the first draft that you still haven't finished. It's much harder, and much more worth it, to roll up your shirtsleeves and JUST DO IT. Focus on the steps you take toward the carrot on the stick rather than the carrot itself. I didn't jot down in my planner that I'd like to have a #1 Nook bestseller or be a Top 25 book of July. I didn't write down that I'd like to be a USA Today recommendation. Those things just happened because I was doing the work. 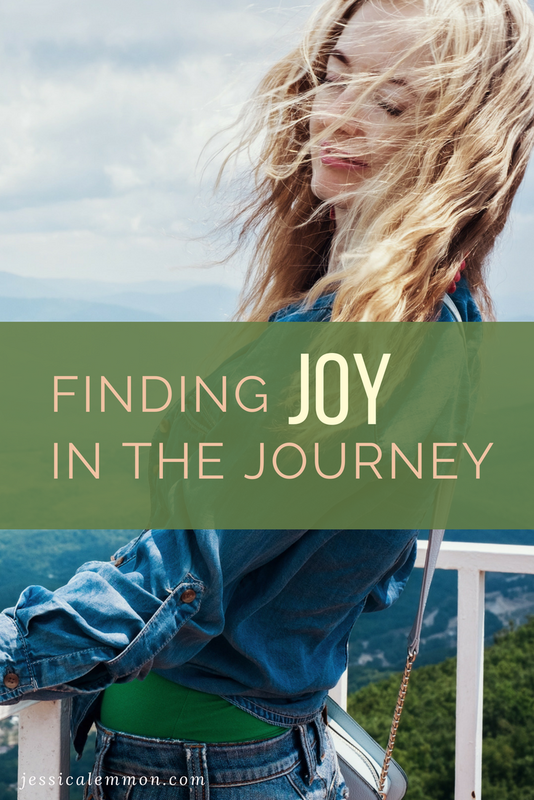 Joy is literally in the journey.